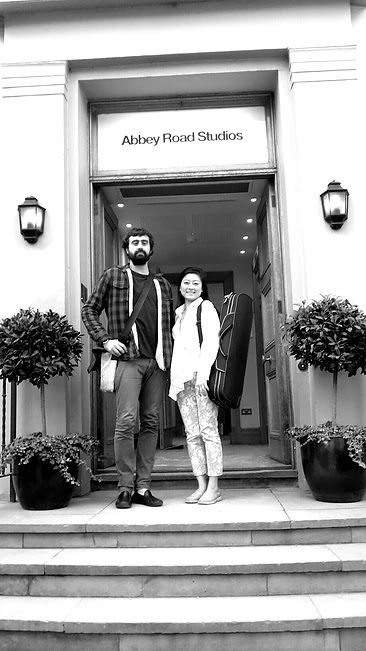 On Tuesday 14 December 2017 we went to a recital for the launch of a new disc by violinist Lisa Ueda and pianist Daniele Rinaldo. On Heritage Records, their disc features three violin sonatas all written around 1917, those of Debussy, Janacek and Respighi. For their recital Lisa and Daniele treated us to Ravel's Piece on form du Habanera, Debussy's Violin Sonata and Respighi's Violin Sonata. The last major work that he wrote, Debussy's violin sonata was the third in a projected sequence of six instrumental sonatas that he planned to write. The premiere took place on 5 May 1917, the violin part played by Gaston Poulet, with Debussy himself at the piano. It was his last public performance. Whilst Debussy's violin sonata is well known, that of Respighi is still relatively unknown. Respighi studied the violin and viola with Federico Sarti at the Liceo Musicale in Bologna, and composition with Giuseppe Martucci. He become an excellent violinist and pianist (as well as violist) and he played viola for a season for the Imperial Orchestra in St. Petersburg where he met and subsequently studied composition with Rimsky-Korsakov (having first learned Russian to an adequate standard as well!). Written in 1917, at the same time as the Fountains of Rome and Ancient Airs and Dances in 1916-17, the sonata was first performed in Bologna on 3rd March 1918 by violinist Federico Sarti (with whom Respighi had studied) and Respighi himself at the piano. It is a big work, lasting 25 to 30 minutes and requires a pair of performers who can function as equals; perhaps because it was written for himself and his teacher, the sonata is challenging for both violinist and pianist.